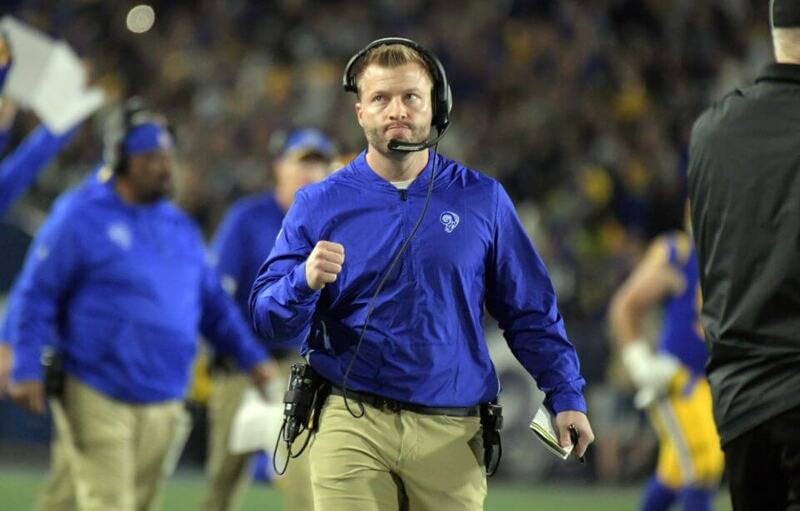 Now that the Los Angeles Rams took care of business in the NFC Divisional Round, head coach Sean McVay is officially locked in on facing the New Orleans Saints in the NFC Championship Game. The Saints were able to pull out a clutch win versus the Philadelphia Eagles and are looking forward to maintaining their home-field advantage on Sunday. McVay is well aware that this will be only one of the few challenges of playing the Saints. The Rams have emerged as underdogs for the NFC game thanks in large part to their opponent’s dominance throughout the course of the 2018 NFL season. Los Angeles will have their hands full trying to contain a team with very few weaknesses on both sides of the ball. It is easy to see why there is so much intrigue surrounding this matchup between the Rams and Saints. Not only are they two of the more talented rosters in the NFL squaring off but it will also feature a couple of the brightest minds as well in McVay and head coach Sean Payton. McVay will certainly have his hands full trying to hand Payton his first playoff loss at home with the Saints. Fortunately, the Rams are already somewhat familiar with what to expect after their visit to New Orleans in early November.